Santa Boaz was hands down the best Santa we’ve ever hired and we will definitely hire him again. He definitely exceeded our expectations. Thank you for making it a magical night for my children!!! Boaz was great! He paid wonderful attention and detail to every child at our event, we had aprox 15 kids and he spent his time getting to know and listening to each child. His Santa beard is perfect and real!! We’ll be using him again! Santa Boaz was absolutely amazing!! He was so,great with the little ones, teenagers and adults. He made our event super magical. We never want another SANTA!!! Santa Boaz was amazing. I feel like words can not express the tremendous talent that he has. He was extremely friendly with the kids and adults. During downtime he explored the venue and interacted with everyone. I plan on using him again for future parties. 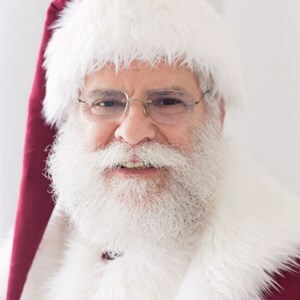 If anyone is looking for a Santa I would recommend him to cover all your holiday events. Make sure to book him early. Santa Boaz is amazing!! He’s the perfect mix between Santa and your favorite grandfather! So attentive to the kids!! We’ve used him 3 years in a row and have made the best memories with him that I will cherish forever!!! Thank you Boaz!! Amanda, Thank you. I have enjoyed coming to your events. One of my highlight Santa Gigs. Santa Boaz was absolutely wonderful! The children really enjoyed their visit from Santa! We had a great time with Santa Boaz!! He was friendly and accommodating to all of the children, adults, and pets. We would definitely like to have him back next year! Chaya, I appreciated the opportunity to come to visit with you at SNAP (Spay-Neuter Assistance Program). Your organization does great work for the whole Houston Community - https://www.snapus.org/ . I enjoyed interacting with all the pets (animals) and the humans that came along with the pets. IJang, Yes, your party was fun. I enjoyed the food and dancing and especially interacting with family the same age as Santa. Thank you for the wonderful review and I am pleased the children loved the surprise. Santa Boaz was amazing. We had a small 40 person party at our home. Santa Boaz was punctual and very professional. He took the time to individually visit with all my guest, young and old. The children loved him, as he took the time to really listen and spend time with them. He left all of us believing. If you want a personal, caring, kind,and witty Santa that creates a magical experience, then Santa Boaz is your Santa. Brandi, Thank you so much for the very flattering review. I thoroughly enjoyed spending time with all the children and adults. I try my best to make each visit as memorable as possible. One day in the future when you reminisce looking at the photos taken, I hope that memories of the evening will come alive all over again. Santa Boaz P.S. I also enjoyed the food you shared with me. Thank you. Amazing with the kids even the little babies!! Super easy to work with! Looks amazing in photographs!! Would hire again! Santa Boaz was amazing!! He’s not only such a great looking Santa but his personality and heart are amazing as well! Love love loves him so much! All the parents gave great compliments on how much they loved him. He interacted with all the children so naturally I think I believe in Santa again!! Highly recommend him!